SS 304 Flanges Manufacturer. Buy Top Quality SS 304 Flanges at Lowest Prices! Types of Flanges: Weld neck Flanges (WNRF), Slip-on Flanges (SORF), Blind Flanges (BLRF), Lap Joint Flanges (SOLJ), Socket-weld Flanges (SWRF), Screwed (Threaded) Flanges, Long weld neck Flanges (LWNRF), Spectacle Blind Flanges, Spacer & Blind Flanges, Ring Type Joint Flanges (RTJ), Reducing Flanges, Raised Face (RF) Flanges, Orifice Flanges, Large Diameter Flanges, Custom Flanges, Drawing Flanges, Forged Flanges, Plate Flanges, Flat Face Flanges, etc. We are a specialized manufacturer of welded and seamless SS 304 flanges for low or high temperatures, and medium or high pressures. Metline is a largest supplier of ss 304 flanges in India. We are offering excellent products and sincere service, and welcome all our customers. Contact Us If You are Looking to Buy 304/304L “Flanges”! Metline is one of the largest and most renowned manufacturing and stockholding company in India, supplying all types of SS 304 flanges including slip on flanges, weld neck flanges, blind flanges, and plate flanges . 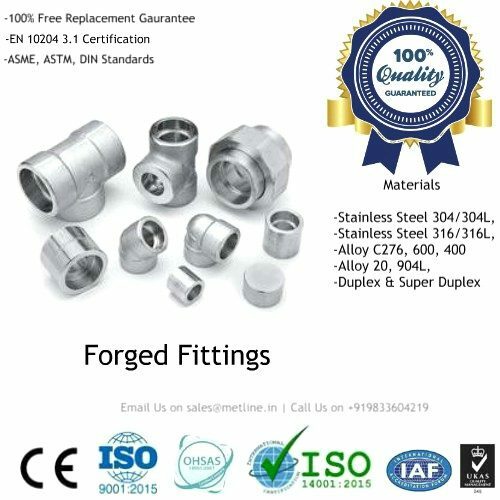 Given our extensive expertise and knowledge in stainless steel industry we can offer stainless steel 304 forged flanges, at the most competitive prices in the Industry. 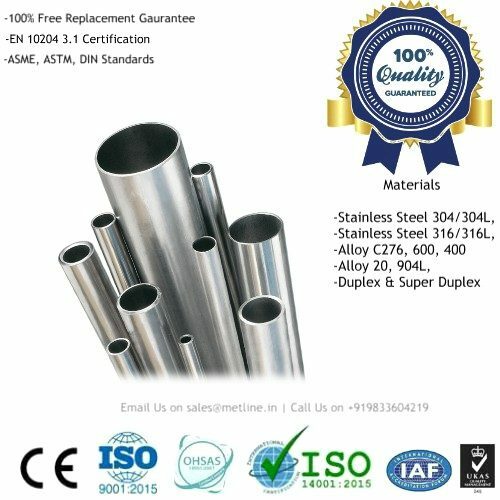 Grade 304/304L (UNS S30400/S30403, EN 1.4301/1.4307) is most widely used Austenitic stainless steel. Grade 304L is a low carbon 304, which is a common practice for 304L to be dual certified as 304 and 304L. The low carbon chemistry of 304L combined with an addition of nitrogen enables 304L to meet the mechanical properties of 304. Grade 304L often used to avoid possible sensitization corrosion in welded components.